Interference is the effect of superposition of two waves from two coherent sources. 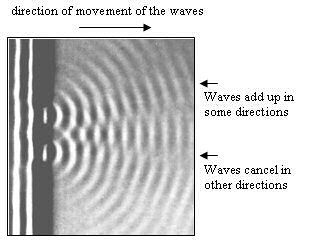 Coherent waves are the waves that can produce same frequency, same amplitude and same phase ( or with constant phase difference ). The principle of superposition states that when two waves meet at the same point, the resultant displacement at that point is equal to the vector sum of the displacements produced by the individual waves at that point. The constructive interference occurs when two crests or two troughs meet each other. The destructive interference occurs when a crest meets a trough.